Travel marketing is taking the marketing industry by storm. This is because holiday-goers are no longer satisfied with word-of-mouth recommendations. Holiday destinations need to be advertised and presented in ways that appeal to consumers in a way that it becomes an absolute must to visit a destination. A travel marketer uses marketing strategies (such as email marketing, social media marketing, content marketing and speaking at travel expos) as well as techniques to boost visits to a particular location. These locations include holiday destinations, tourist attractions, hotels, resorts, heritage sites and business retreats, among others. You name it, they’ll rate it! media update’s Nicole van Wyk reveals five reasons why you should be considering a job in travel marketing. Because the travel marketing industry is so vast, you can work and earn money both locally or internationally. In fact, you can start doing this job from anywhere in the world. Imagine being able to report to a resort and not a desk. Be still dear wanderlust heart, be still. Relocation, access and mobility is the name of the game. As a travel marketer, you will be able to move around freely and gain access to breathtakingly beautiful places. You need to be able to be mobile and available to travel to these destinations you’re marketing so that you’re able to answer any questions your clients may have about the holiday destinations you’re advertising. As a travel marketer, you get to be creative and innovative at the same time. Because of the competitive nature of the industry, there’s a constant demand for fresh ideas to keep tourists intrigued and keen to visit the locations you’re marketing. You’ll also get to implement multi-sensory advertising — this is an exciting way to fully express yourself using different senses such as sight, sound, touch, smell and taste if and when you are afforded the opportunity to do a face-to-face interaction with your clients. If you love to travel, then you shouldn’t think twice about sailing this ship. Pack your passion for travel into a suitcase and fly to new heights. Getting to do what you love, while inspiring others to do the same, is an absolute dream come true. If you can translate your love for holidaymaking into your marketing strategy then you have half the job already done. The other half is convincing prospective clients to buy into the fun. Doing something that you love is the best way to motivate yourself to learn and gain new skills that will be transferred into your workspace. You can be the best if you do your best! Imagine an excess of complementary offerings from the hospitality industry in return for exposure and recommendations. What more could you ask for? FAM trips — familiarisation trips offered to travel marketers by people in the hospitality industry — are quite common in the travel marketing industry. They allow marketers to experience what they are pitching. Remember that the core job spec of a travel marketer is to make insightful holiday recommendations to their clients. Travelling will also allow you to gain invaluable skills as well as meet and be exposed to cultures and people you never would have crossed paths with otherwise. Not only do you get to sell a product, but you’ll also be able to have a holistic experience. Your family and friends will be green with envy! Your days will all be different when you work in travel marketing, and you’re guaranteed a different adventure every day. You’ll become a pro at multitasking — between sourcing information about travel destinations, marketing said destinations and, best of all, travelling to these destinations, you will get a firm grip on the organisation. Also, meeting people with colourful personalities and unique cultures will leave you entertained and loving your job even more! Would you ever consider a career in travel marketing? Let us know in the comments section below. 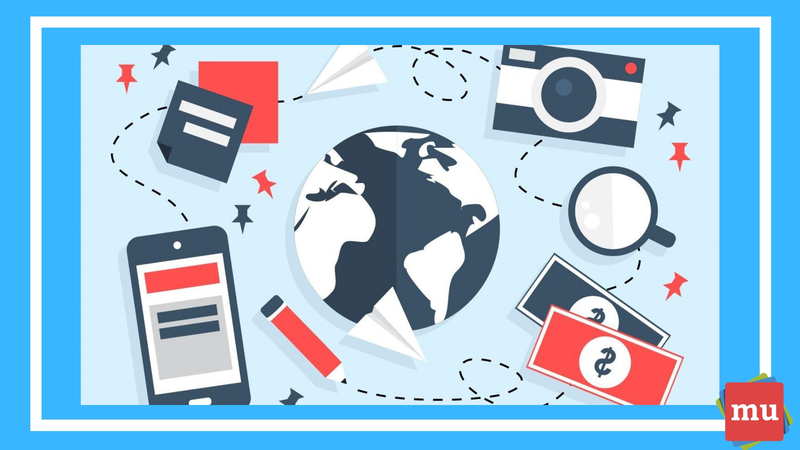 Now that you have an idea of the perks of being a travel marketer, why not have a look at what else the industry has to offer? 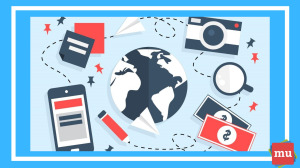 Learn more in our article, The ins and outs of travel marketing.